Whether you are looking to tone and tighten your body, build lean muscle, lose weight, increase your stamina and endurance, we have a program that will fulfil your needs and goals. Our knowlegeable and friendly staff can help point you in the right direction and show you the different packages available along with customized options to fit specific needs. 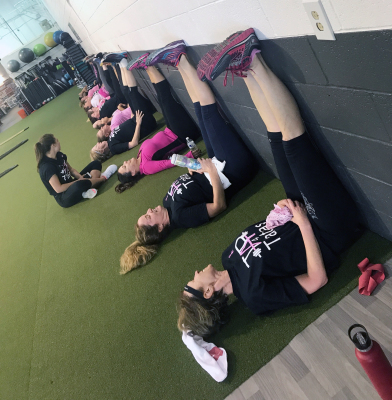 Private group training is designed for 2-5 clients to work with one strength coach and focus on all their specific goals with training that will mutually benefit the entire group together. 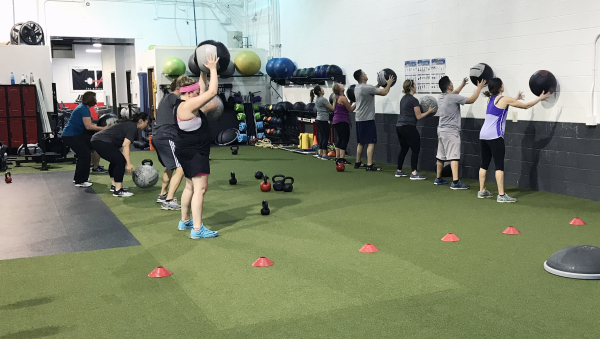 The functional strength classes are designed to safely take adults through workouts that challenge the body in different ways. 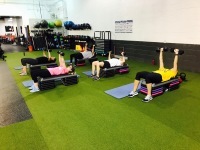 We have classes available for every fitness level. The Athlete's Playground is New Mexico's premier functional strength and conditoning facility. 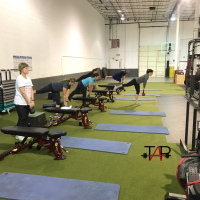 The adult functional programs are designed to help educate clients how to "think outside of the machine" and train and exercise your body the way the body is supposed to natrually move. The functional strength and conditioning programs use various types of external resistance and training tools to help you meet your fitness and workout goals.